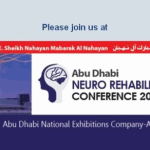 Abu Dhabi, March 02 15 – The world’s leading experts will be in the UAE to discuss the evolution of neuro rehabilitation in the Gulf, during the Abu Dhabi Neuro Rehabilitation Conference taking place from the 5th to 7th March 2015. Sponsored by UAE’s leading rehabilitation and long term care providers, ProVita International Medical Center and Cambridge Medical & Rehabilitation Center, the event aims to incorporate key elements of current practices that directly reflect regional neuro rehabilitation needs. Provita, Cambridge Medical and Rehabilitation Center, and Manzil Health Care Services are affiliated with US-based Spaulding Rehabilitation Network, a Harvard Medical School Teaching Hospital, and recognised leader in rehabilitative medicine, long-term care and home care. An integrated approach between the companies allows patients to receive care in the most appropriate environment and according to their specific needs, whilst guaranteeing consistent quality care throughout their transition between care levels, and the partnership with Spaulding ensures global clinical excellence is maintained at each and every level. Dr. Sabahat Wasti, Medical Director for Rehabilitation at Cambridge Rehabilitation Centers and Consultant Physician for ProVita International Medical Centers, will be co-chairing the annual event and will also be joined by global authority Dr. Ross Zafonte, Senior Vice President, Medical Affairs Research and Education at Spaulding Rehabilitation Network and Chairman of the Department of Physical Medicine and Rehabilitation at Harvard Medical School. Dr. Zafonte’s anticipated lecture will focus on “Advising on Service Development from Afar and Traumatic Brain Injury Clinical Trials: Lessons From the Acute to the Post-Acute”. Dr. Zafonte is Earle P. and Ida S. Charlton Professor and Chairman of the Department of Physical Medicine and Rehabilitation at Harvard Medical School. He also serves as Chief of Physical Medicine and Rehabilitation at Massachusetts General Hospital, Brigham and Women’s Hospital. His textbook is considered one of the standards in the field of brain injury care and the NIH, DOD and NIDRR presently fund his valuable work. He has also published extensively on traumatic brain injuries, spasticity, and other neurological disorders and is the author of more than 300 peer review journal articles, abstracts and book chapters. The annual conference will be inaugurated by H.H. Sheikh Nahayan Mubarak Al Nahayan, Minister of Culture, Youth & Community Development on Friday March 6th at 11am. ProVita first opened in Abu Dhabi in 2010 as the only facility of its kind in the MENA region to offer state of the art long-term care for ventilated patients and those requiring continuous medical and nursing intervention for serious medical conditions in a non-hospital setting. ProVita is affiliated with Spaulding Rehabilitation Network and Joslin Diabetes Center. Joslin, located in Boston, USA, is the world’s leading diabetes research, clinical care and education organisation dedicated to the prevention, treatment and cure of diabetes. Joslin is an independent, non-profit institution affiliated with Harvard Medical School. The ProVita partner network also comprises cooperation with Cambridge Medical & Rehabilitation Center and Manzil Health Care Services. Cambridge Medical & Rehabilitation Center caters for those in need of acute rehabilitation with a high level of physiotherapy, as well as treatment for a broad range of conditions including spinal cord injuries, neuromuscular diseases (such as a stroke) and birth defects. The Abu Dhabi facility is located in Shakhbout City (formerly Khalifa City B) and a new facility in Al Ain (Al-Khaiesi, Al-Naseriya) is set to open soon. Cambridge is affiliated with US-based Spaulding Rehabilitation Network and Joslin Diabetes Center. Joslin, located in Boston, USA, is the worldÃ¢â‚¬â„¢s leading diabetes research, clinical care and education organization dedicated to the prevention, treatment and cure of diabetes. Joslin is an independent, non-profit institution affiliated with Harvard Medical School. The Cambridge partner network comprises cooperation with ProVita International Medical Center (Abu Dhabi and Al Ain) and Manzil Health Care Services. Manzil provides professional, individualised, home care services guided by the individual medical, rehabilitative and emotional needs of patients. Manzil Health Care Services was founded in 2011 as Emirates Outreach Healthcare Services. Manzil Health Care Services aims to be the leading provider of HAAD-licensed homecare services in the UAE. Manzil is affiliated with US-based Spaulding Rehabilitation Network and Joslin Diabetes Center. Joslin, located in Boston, USA, is the world’s leading diabetes research, clinical care and education organisation dedicated to the prevention, treatment and cure of diabetes. Joslin is an independent, non-profit institution affiliated with Harvard Medical School. The Manzil partner network comprises cooperation with ProVita international Medical Center and Cambridge Medical and Rehabilitation Center.